This story is the last of a three-part series looking at how Quitman County Elementary School in the rural Mississippi Delta is changing during a year of education reform. The number of Mississippi third graders moving on to the fourth grade has jumped from 85 percent to 90 percent, according to third-grade reading test retake scores released last week by the Mississippi Department of Education. Still, 3,400 third graders could be held back a year. Jackie Mader went to one of the poorest areas of the state in the Delta to see how third-grade testing went where kids are most behind. Eighty-five percent of Quitman’s third graders passed the reading exam on the first try. For a school that has lagged behind the rest of the state on standardized exams, meeting the state average on the third-grade test is proof that recent classroom changes have been working. Over the past few years, the whole school has reorganized around reading. This year, leading up to the reading exam, kids attended a daily review class to practice skills they’ve missed. Teachers from other grades tutored the third-grade students to get them up to speed. And kids frequently walked between grade levels to participate in reading lessons based on their ability level. For the kids who are really behind, literacy coach Cindy Hale started intensive interventions that go back to kindergarten-level concepts. On a recent spring morning, Hale was leading her students through a review of short vowel sounds. “Short e,” Hale said. “Eh, edge,” her students replied in unison. They proceeded through the rest of the vowels, using words like “itch” and “octopus” to emphasize the short vowel sounds in words. 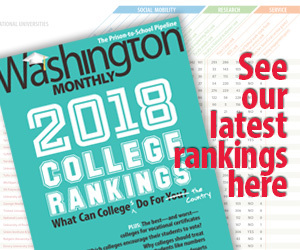 When Mississippi adopted the Common Core standards in 2010, now called the Mississippi College and Career Readiness standards, math and reading got a lot harder. With the third-grade gate, there’s even more pressure on the kids. Even if kids pass that rigorous exam, the new standards mean that kids have to read well to succeed. In Shana Cunningham’s fourth-grade reading class, these high expectations are evident in lessons that teachers say are more challenging than what students would have seen years ago. Earlier this year, for example, students were working on a lesson about main idea and supporting details in a nonfiction text, which involved reading several pages and writing down answers. In the back of the room, 10-year-old Kwendolyn finished the story and quickly started to scan what she had read. “I’m going back in the text to see what the main idea was in the story,” Kwendolyn said. Cunningham says the transition to Common Core wasn’t necessarily smooth. 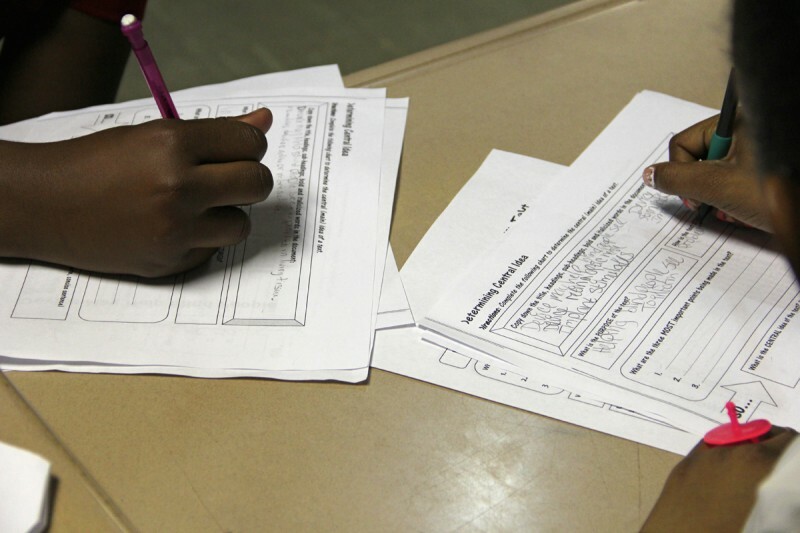 The new reading standards move away from fill-in-the-blank or bubble-in tests, and emphasize nonfiction, asking students to use evidence from the text in their writing. At first, Cunningham says her students gravitated to fun stories and fictional tales. “I had to take out some fiction books out of my library and kind of sneak some more nonfiction in there so they’ll read more of them,” said Cunningham. But by the end of the school year, Cunningham said her students understood the concepts and stories in a deeper, more meaningful way. “They can feel pride in what they’re doing a lot more than just ‘Okay, I filled in a couple bubbles.’ [Now it’s] ‘I know, I can tell you a couple things about the text.’” Cunningham said. Catching kids up and pushing them to these harder lessons hasn’t necessarily been easy at Quitman County Elementary school, where at least 50 percent of third graders have scored below proficient on the state reading exam in recent years. The school has dealt with frequent teacher turnover and uncertainty from the state around Common Core testing. In addition to its new focus on reading, the school has relied on grant money for afterschool and summer programs, which all students who failed the third grade exam will attend this year. Literacy coach Cindy Hale, who started working at the school through a partnership with the nonprofit Barksdale Reading Institute, said, above all, teaching the fundamentals early has made the biggest impact. Last week, Quitman County Elementary received more good news. After the first third-grade gate retest, even more students passed. Ninety percent of the third-graders will be moving on to fourth grade. The remaining third-graders will get another chance to pass later this summer. 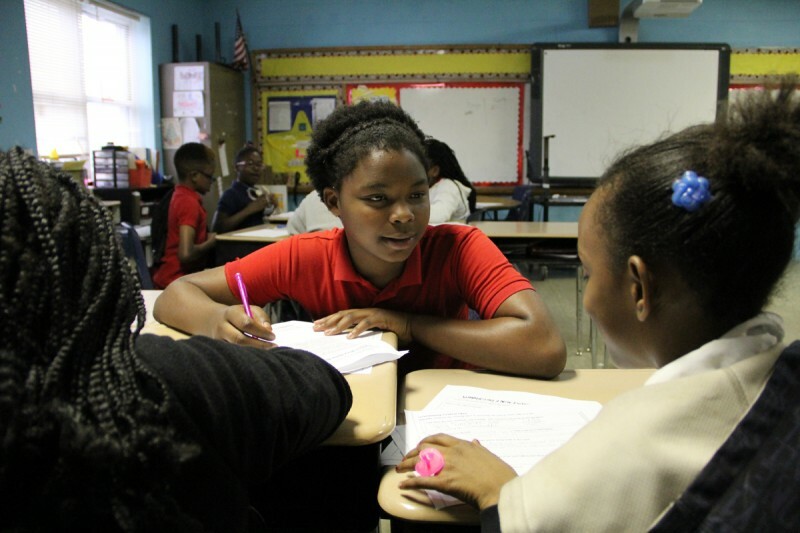 Bryn Stole contributed to this report, which was produced byÂ The Hechinger Report, a nonprofit, independent news organization focused onÂ inequality and innovation in education.Â Read more about education in Mississippi.